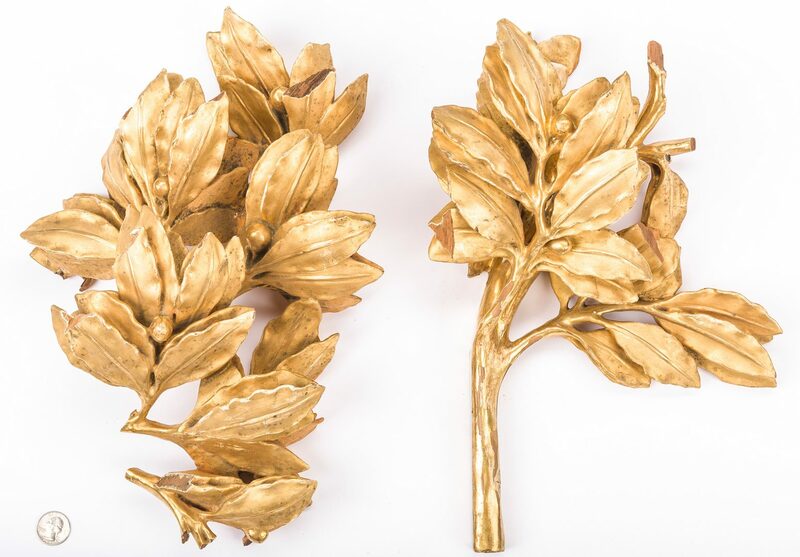 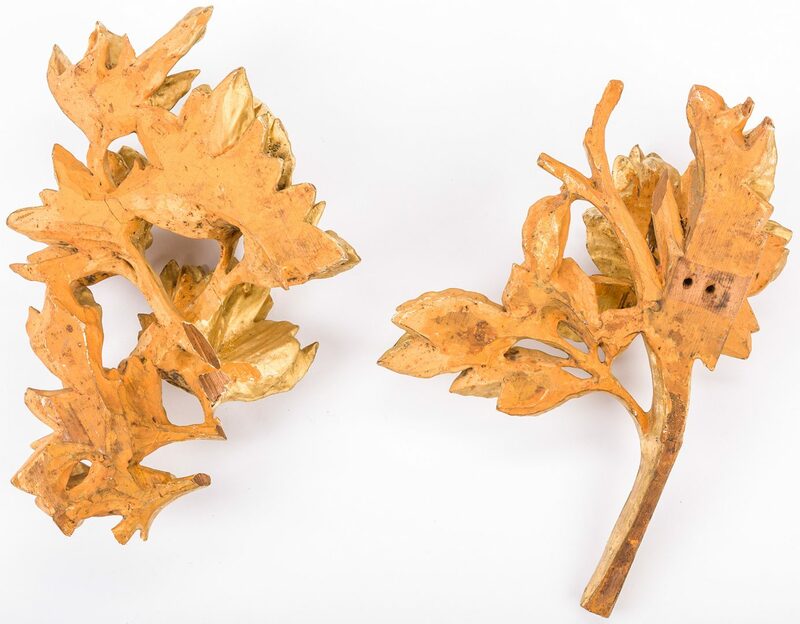 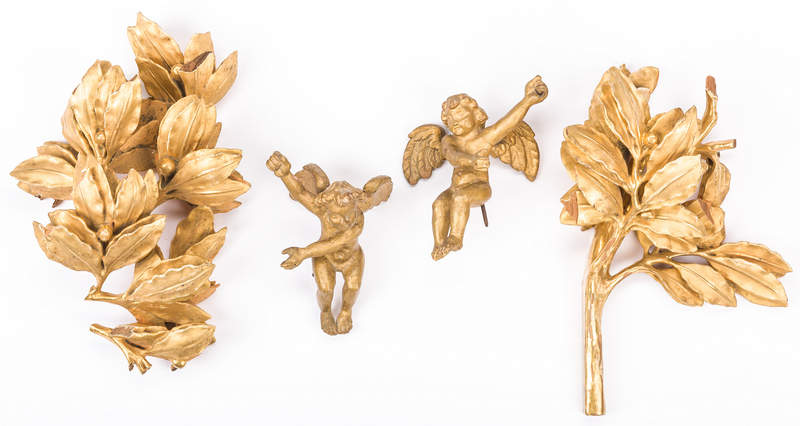 Group of antique Italian fire gilded carved wood leaf and cherub wall ornaments or architectural fragments, late 18th to mid 19th century, including two fully modeled cherub or putti figures and two laurel branches. 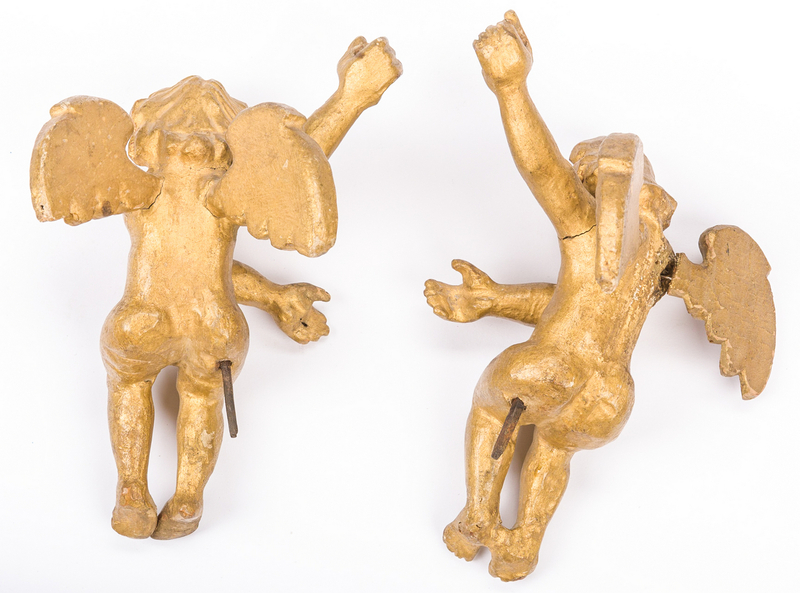 Cherubs with protruding square iron nails. 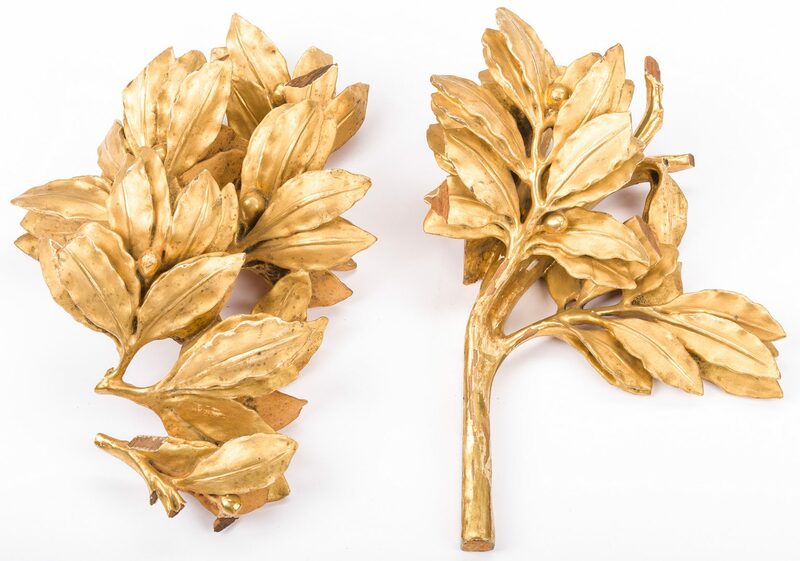 Possibly originally part of larger sconces. 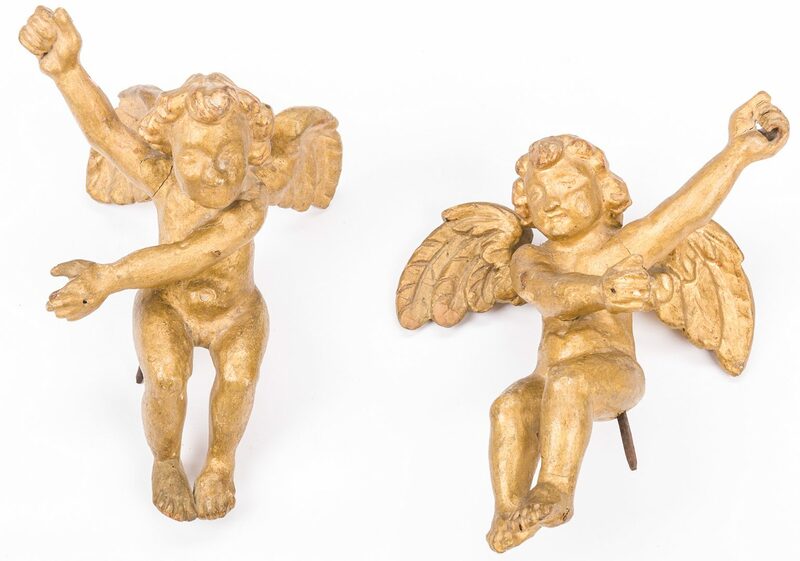 Cherubs 7"H, branches 15-16"L. Provenance: a Nashville, TN, estate, acquired during travels in Italy in the mid 20th century. 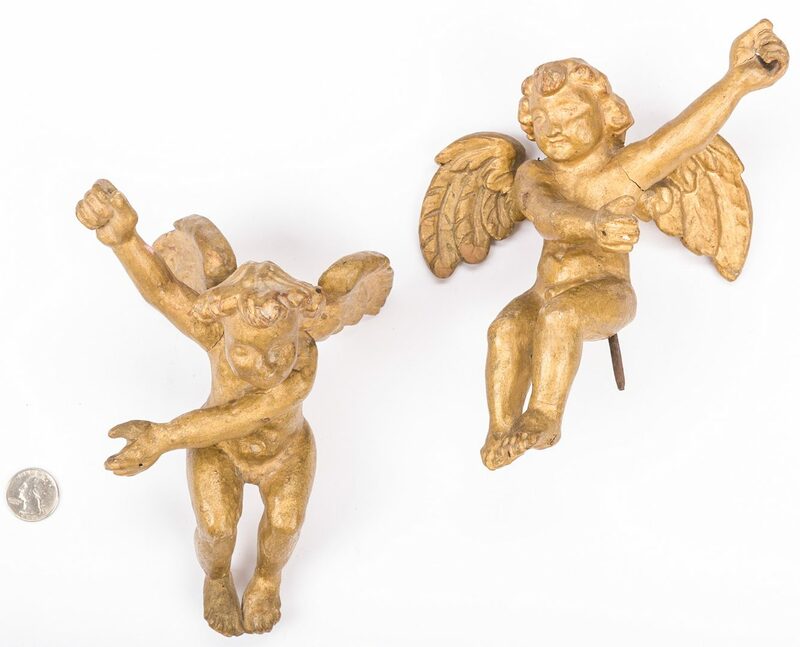 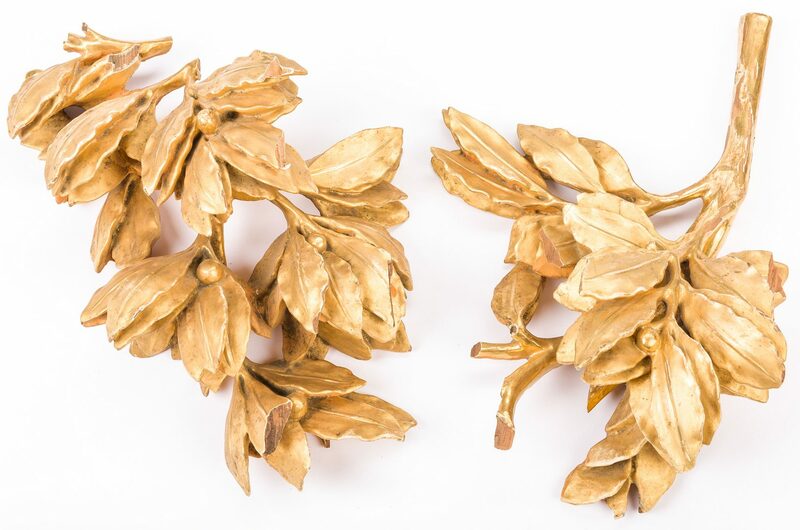 CONDITION: Multiple breaks and losses plus areas of surface wear to each branch; cherubs with surface wear and abrasions and some loose joints.